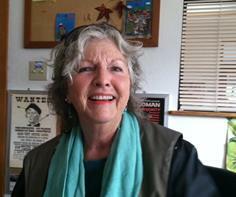 Audio: KPFA Kris Welch interviews Adi Gevins re: Pacifica Radio Archives etc. Adi Gevins is a San Francisco Bay Area-based radio documentarian who has been referred to as the “fairy godmother of community radio”. 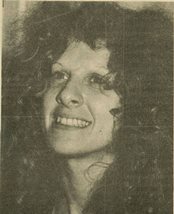 She has won an Ohio State Award, an American Bar Association Silver Gavel, numerous Golden Reels from the National Federation of Community Broadcasters, and two George Foster Peabody Awards (with Laurie Garrett for “Science Story” in 1978, and with SoundVision for The DNA Files in 2000), considered the highest accolade one can receive in journalism. Much of her work has been done for the Pacifica Radio station KPFA in Berkeley, California, including “One Billion Seconds Later”, which won the Ohio State Award and “Me and My Shadow”, a documentary about Cointelpro‘s infiltration of the New Left. She served as executive producer for the celebrated public radio documentary series, “The Bill of Rights Radio”. Kris Welch Day is coming up in Berkeley.